Otto Tuza has over 40 years’ experience in our horse industry and for this he is well known. Otto Tuza is a QLD Transport Approved Person who can make modifications and provide modification plates and certificates for your horse floats, goosenecks, caravans, trailers and vehicles. 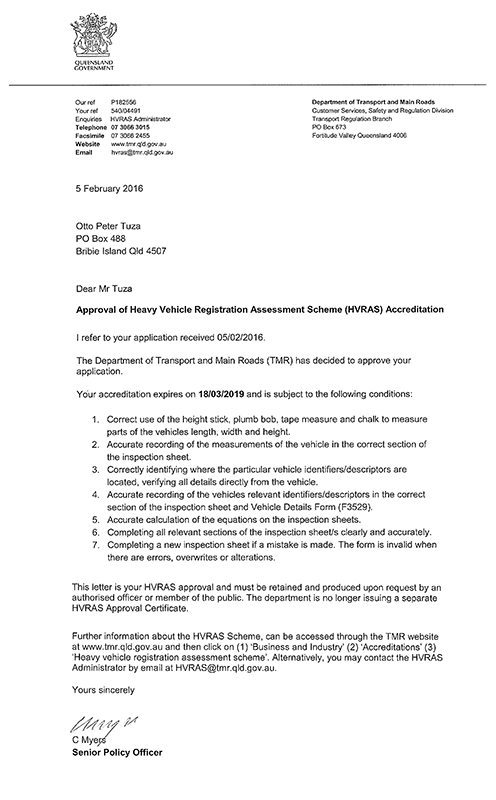 See the modification codes below for which Otto Tuza is approved by the department of Transport. No other float company in our industry is qualified to do these types of modifications or are a QLD Transport Approved Person. Otto Tuza is the only one for Queensland. You can logon on to the Qld transport website for approved persons for vehicle modifications verification. If you were pulled over for illegal trailer you would be sent to Otto Tuza by the Department of Transport to have your trailer re inspected, and then advised on how to have your trailer fixed to comply. We also hold an HVRAS Licence – this is for inspection of Trailers Horse Floats, Goosenecks and Caravans. No other horse float company has all these certificates or accreditations. Some only hold the HVRAS licence. 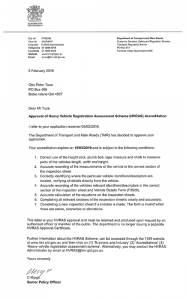 If QLD Transport requires you to bring in your trailer for registration inspections / renewals, it will not be done by them anymore. You the customer will need to take it to an approved HVRAS person. So when making your decision on purchase your new horse float it should not be based on price, it should be on, quality, Australian made and the experience and the qualifications that company holds.